Erik Andersson now a PhD, first to come out of our lab. 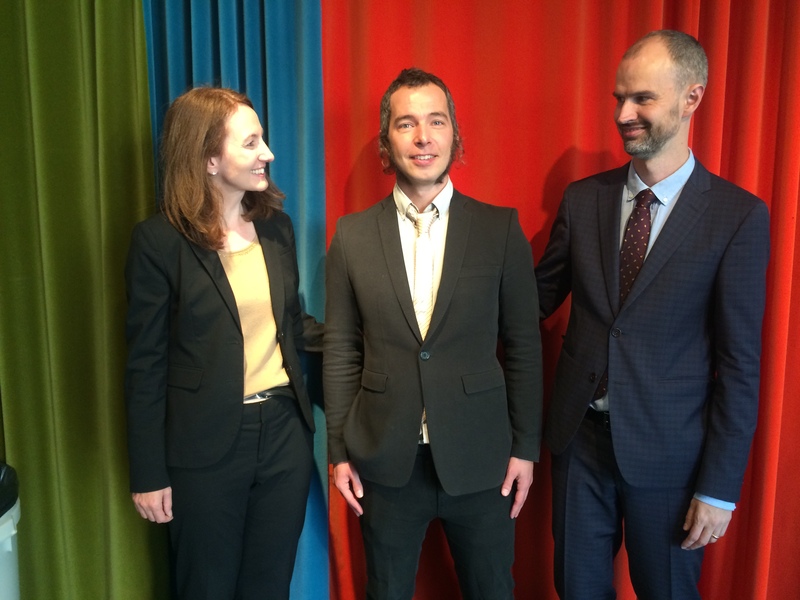 Erik Andersson today defended his thesis in the best of ways and is now a PhD from the Karolinska Institutet. Opponent was Prof Sabine Wilhelm, Harvard and she said “this is the best dissertation I have come across, by far”. The dissertation committee consisted of Prof Bo Runeson, Prof Christina Hultman and Professor Mats Fredriksson. Main supervisor was Christian Rück and Viktor Kaldo, Nils Lindefors and Gerhard Andersson were co-supervisors. Let’s celebrate! Erik Andersson, new PhD, adimired by Sabine Wilhelm and Christian Rück. Next Next post: Internet-based CBT for Body Dysmorphic Disorder!